Looking to help working parents provide exceptional care for their children, Camelot Kids Limited, a child day care centre, has launched Working Parent Government Funding Hours. These hours are for 3 to 5-year-olds at various session times throughout a week. 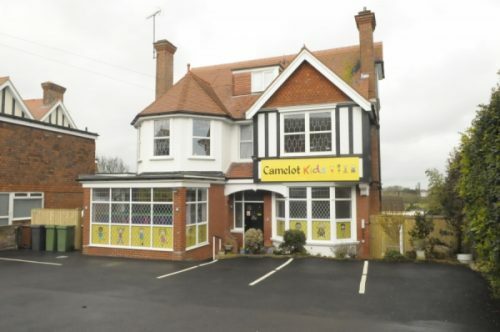 Eastbourne, East Sussex-based, Camelot Kids Limited, a family run nursery for children from birth through to 5-years, has launched their Government funding hours program. Camelot Kids, who are celebrating their second anniversary with a Good Ofsted report and an Outstanding Food Award, as well as five-star Food Hygiene Rating, also offer children a fantastic outdoor play area that includes a soft play surface and sail-styled sun cover so that children can play all year round. More information is available at http://www.camelotkids.co.uk. Just launched, the working parent Government funding hours allow up to 15-hours per week of complimentary childcare. At Camelot Kids the Government funded sessions are available for 3 to 5-year-olds. Session times run term time or can be stretched over the whole year, with complimentary government funded childcare available for all eligible working parents. Aiming to provide the best in child care, Camelot Kids offer children freshly cooked meals all prepared by a catering college trained chef. Also, the facility encourages children to try various fruits and vegetables by growing their own produce in the day care centre’s vegetable garden. Plus, the facility caters to medical or cultural dietary requirements. These food philosophies and impeccable food practices have seen the facility awarded a five-star Food Hygiene rating and gain Outstanding Food recognition. Other practices Camelot Kids follows include encouraging outside and indoor play as the facility feels this it is a vital part of a child’s learning. As such, the facility provides a safe and supervised play area both out-and-indoors. These areas help children to develop their hand-eye coordination, experience new challenges, assess risks and to develop the necessary skills to manage difficult situations, as well as cultivate harmonious relationships with others. To find out Camelot Kids and their 15 hours of complimentary government child care per week, call 01323 725207 or visit the link above.